A design wall decoration with a unique style ! 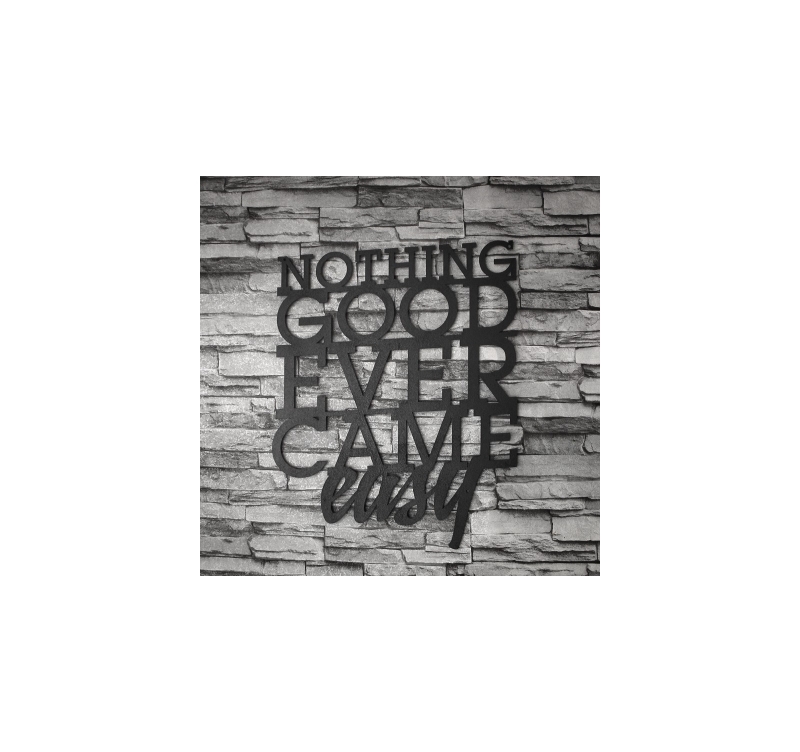 Find the English quote Nothing Good on a metal wall deco. The dimensions of this metal design sculpture are 38 x 50 cm. This metal decoration is delivered free in metropolitan France and Belgium. Nothing Good ! Decorate your walls with this mythical sentence on a contemporary wall decoration to give energy to your room. 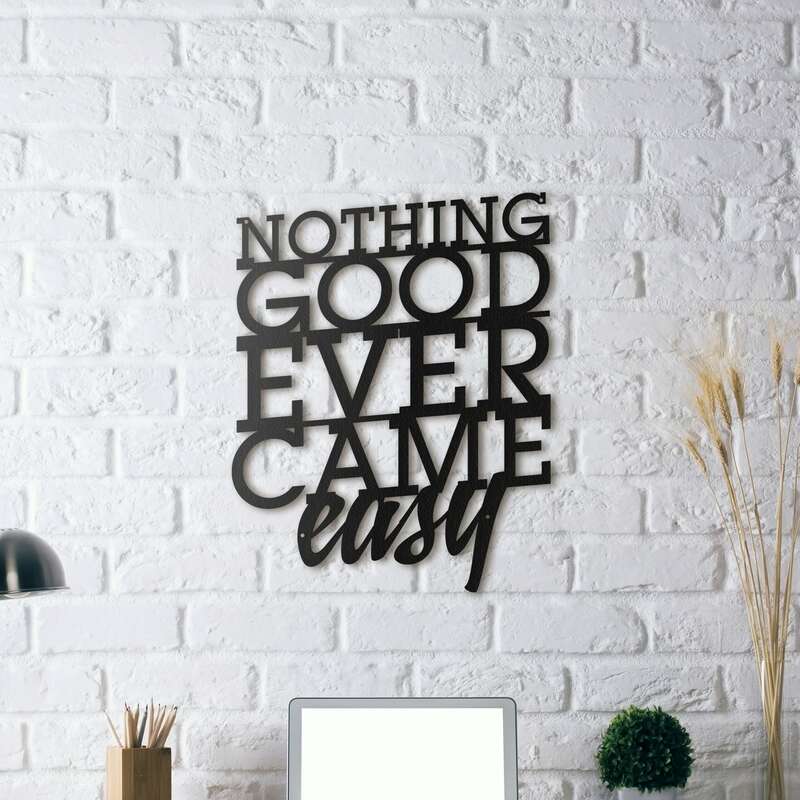 Our collection of metal wall deco proposes such quotes to bring energy to a bedroom or a large lounge while keeping a design and modern aspect. 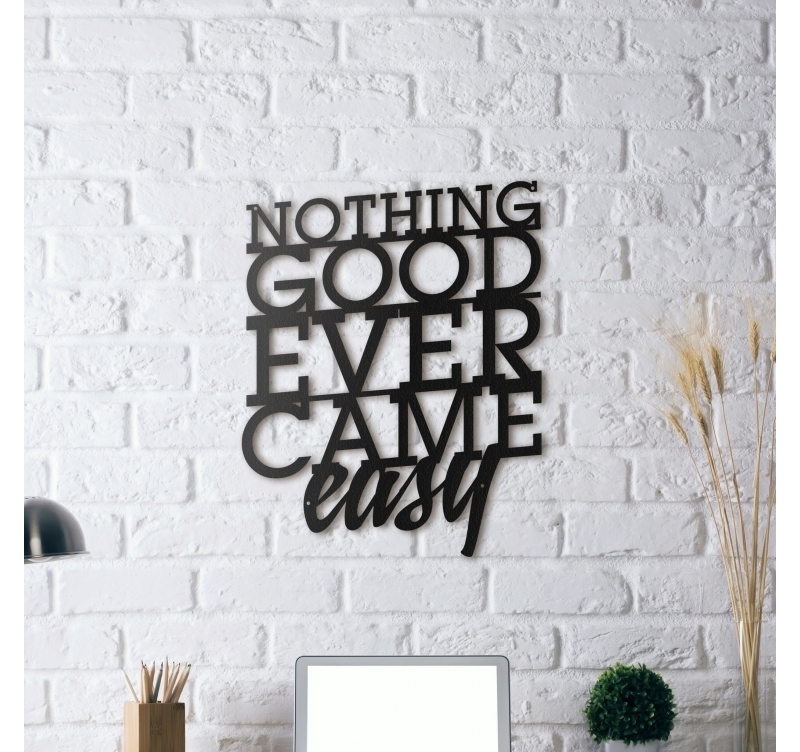 In an original black style this metal wall decoration will find the words to adorn your interior. 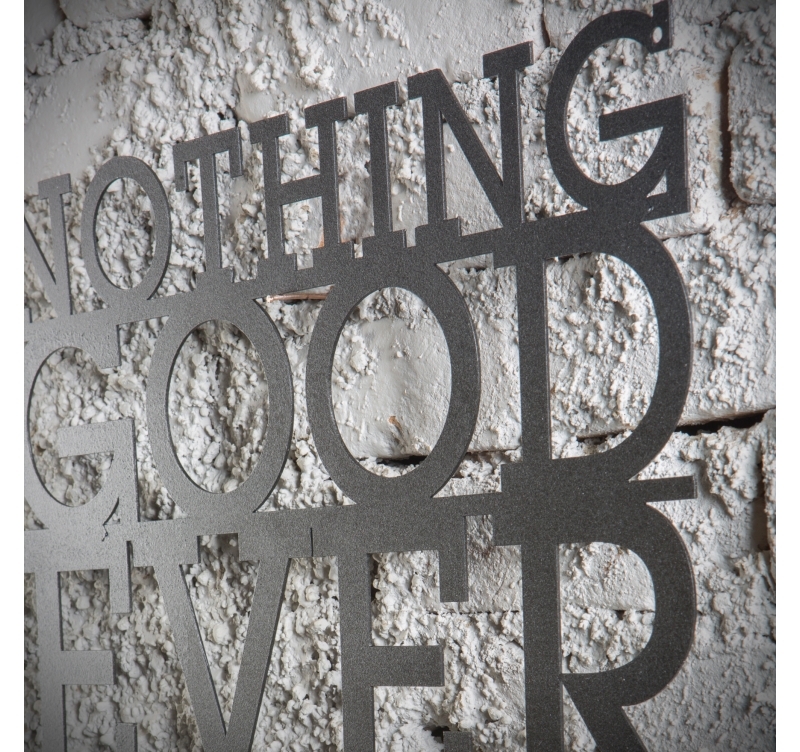 All our words metal decorations are hand made by our creators and treated with a black finish for a long lasting quality. This deco wall decoration is wrapped in foam in a protective cardboard box for a safer delivery.